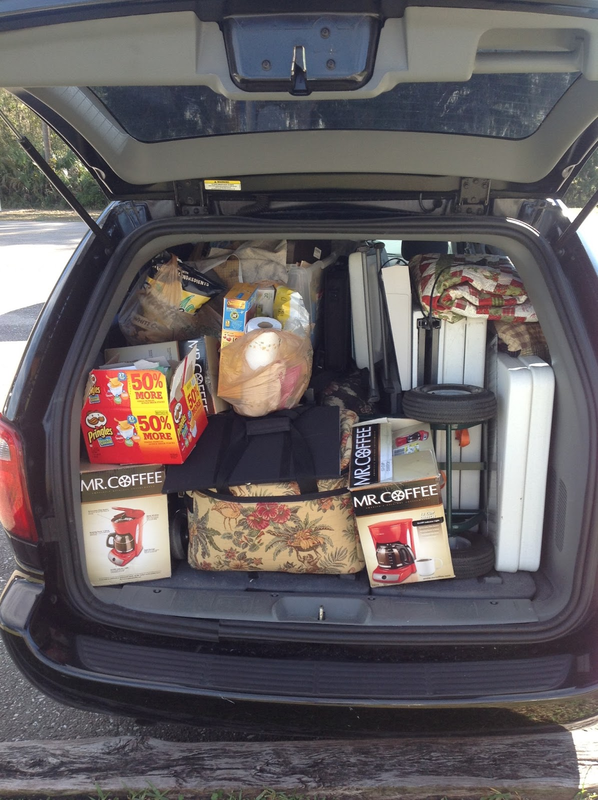 Olde Green Cupboard Designs: We're home from Camp Blanding!!! Well... I am back from the retreat...what a super time we had. 185 gals... sewing until they could no longer sew anymore. Laughter... all over the place. 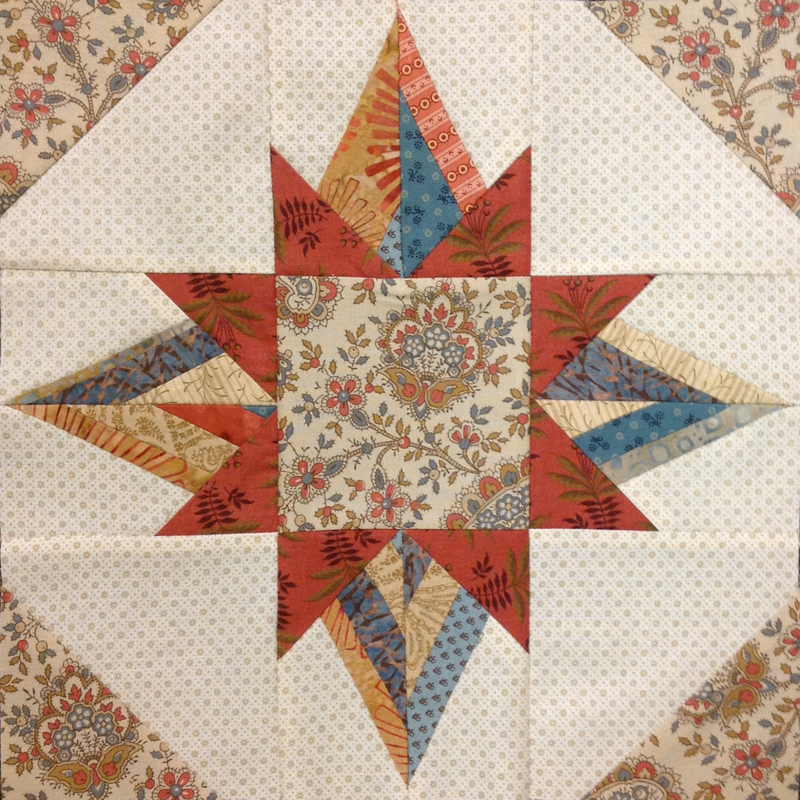 Then we were so lucky to have Pam Buda - Heartspun Quilts and Lynne & Robert Hagemeir - Kansas Troubles Quilters with us...teaching classes! What fun! Thanks Pam, Lynne and Robert (Lynne's sweet hubby!) for spending time in Florida with us. Here are some photos of things at the retreat... ooopssss... you weren't supposed to see the snacks (sorry)... just kidding.. 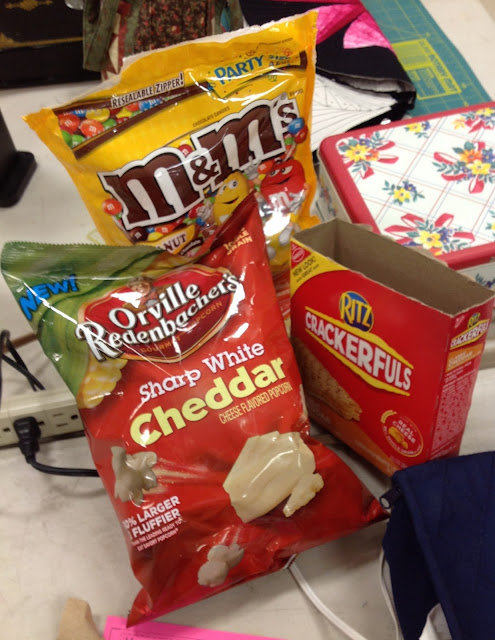 I had to take a picture of the snacks - you see - it's just not all about the quilting, sewing or rug hooking...it's the FOOD - and the JUNK FOOD to be exact. We would walk around the room and find enough food to feed an army. Many of the gals brought crock pots and made yummy dinners in the back kitchen (right off the sewing room). 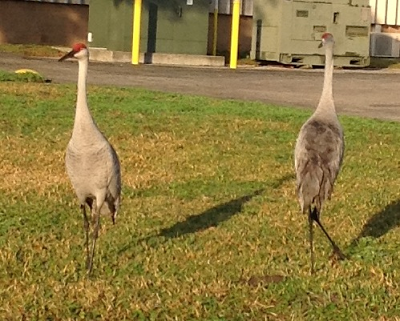 See these Sand Hill Cranes? We named them Romeo and Juliet and these are some BIG BIRDS!! They were so friendly... the gals that worked on the base said they have been here for years... they walk up to the front doors of the Armory building (where we were sewing) and see their reflection on the glass doors. They peck at the door...thinking maybe they have some enemies... or maybe new friends. They are so tame I walked right beside them... not 3 feet away and they just keep digging worms out of the yard. So... so pretty.... They must have been 4' tall!!! Pretty red feathers on the top of their heads. We were trying to figure out which was the male and female... we had no luck...they look the same! Once we were finished sewing at the armory... we(Vicky and I) went to our lodging and set up sewing with Paula, Maryellen, Wynette, and Dianne. Our other Camp Blanding friend - Donna - was resting from some previous surgery... so she couldn't sew with us... but did get to visit a little. 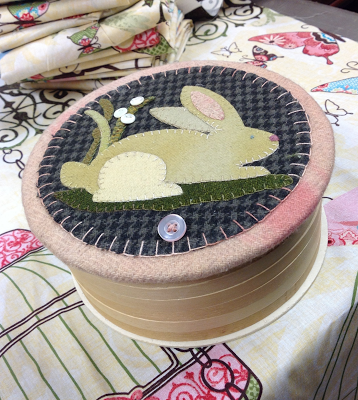 Then at Camp I made this sweet sewing box. We are going to work on them in our B-a-a-a-d Girls Club. I know you can't see the back... but the box is made from 6 wooden embroidery hoops. It was great fun to make... and is not yet all the way finished. I have to put a loop of elastic on the front (for closing the box) and a little stain on the wood. 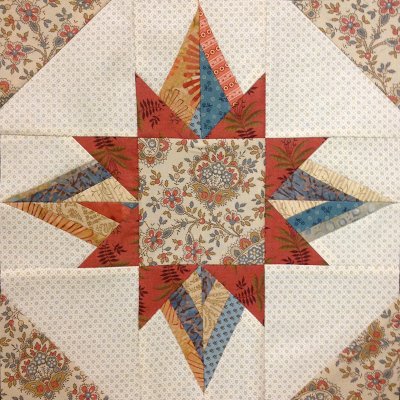 Once we finished up sewing in our lodging.... it was time to take Paula to the airport... Maryellen headed back to the Tampa area... and Vicky and I headed home to PACK the house. As you can see...there was not one more spot of room to pack a single think in this van. Thank heavens for Paula... she was tiny enough to crawl inside and pack things tight for us... what a hoot. Well... today is my 44th wedding anniversary!!! Can you believe that? Wow... that's a long time! Here we are..... I'm on the blog and packing...Jack went to the gym... HOWEVER... we are going to Longhorn Steak House tonight... I LOVE... LOVE... their Wild West Shrimp and Chicken Parmesan!!! OMG...it is so darn good... my mouth is watering already! I'll chat with you soon.. keep those projects going... get them finished...it feels so DARN good! !